This is a work in progress demonstration of the current progress made on the Multiplayer update, due late February. I am currently working on version 1.7 which will be a significant update that will finally add Multiplayer. I have already made significant progress on it but still have some amount of work to go before it will be released, I am aiming for a late February release. Due to the fact that Lunar Flight was developed before adding Multiplayer some systems are having to be redesigned to support synchronization of their state between clients and the server. I also want to look at adding some ‘Multiplayer’ specific game modes but have yet to decide what that will be. There will be a simple Free mode where multiple people can play in the same map and conduct missions independently. One mode I have been thinking about is a race to reach a set XP score within a certain amount of time, additional modes maybe added in future updates. LAN and Online play will be supported, LAN mode will auto discover any servers on the local network. I am planning to have a Master Server listing to make it easier to find a server to play on. You can select which map to play on, add a password, add a region name, limit the number of players. The region name is an optional setting and if you want to open your game to the public and improve the chances of getting people in your region to play. For example I will added ‘Australia’ and people browsing the server listing can see that my server is in Australia. If all 4 bases on a map are occupied, any other players waiting to spawn will have to wait until one is available. Like wise players wanting to land at an occupied base will have to land nearby and wait for the pad to be clear. I will be contacting some people to offer the chance to test it for a closed Beta stage soon. I have been wanting to make the game more accessible and plan to introduce a set of Difficulty options. These settings will affect the rewards you receive when completing a Mission, having the Easy settings enabled will drastically reduce the mission rewards earned. 1.7 will also contain any bug fixes that have been reported and also a few little polish improvements. I am a backer of the Oculus Rift Virtual Reality devkit and am expecting my devkit to arrive near the end of March. Unity is adding support for it and I intend to add a mode to support it. This mode will most likely limit the Camera to Full Scren HUD mode when turned on but I will have to wait to see and do some experimenting with it. I plan to take the Rift with me to PAX AU in July to demo it to the press which I hope will help Lunar Flights exposure by being one of the only Oculus products on display. The Oculus mode will be added in a future update after the 1.7 update, this will only really be useful to those who have a devkit, until Oculus release their consumer grade kit to market in 2014. I recently had a very popular Reddit thread making it to the #2 slot before it was removed by the mods for violating their spam rules of self promotion. Now Gamer noticed the thread and sent me a bunch of interview questions for this article. You can read it here or by click the image below. Coming to a German Store near you! Thanks to Headup Games Publishing, Lunar Flight is being released in retail stores in Germany, expect to see it on the shelves mid February. 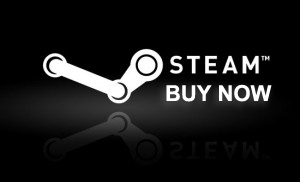 Steam Community Hubs now offer the ability to submit Guides for each game. 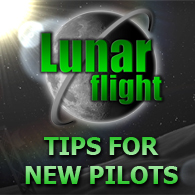 We’ve put one together for Lunar Flight and it contains a lot of useful information for new players and perhaps veterans as well. Click on the image below to check it out. Lunar Flight in the Top 100 – 2012 Indie of the Year – Vote Now! Lunar Flight has made it into the Top 100, thanks for the votes everyone but there is one my stage for the finalists. Please click the link below and select the Realistic Sim category and vote for Lunar Flight! Lunar Flight is now available on the Mac App Store! After two submission rejections it finally passed the review process and you can now buy it on the Mac App Store. 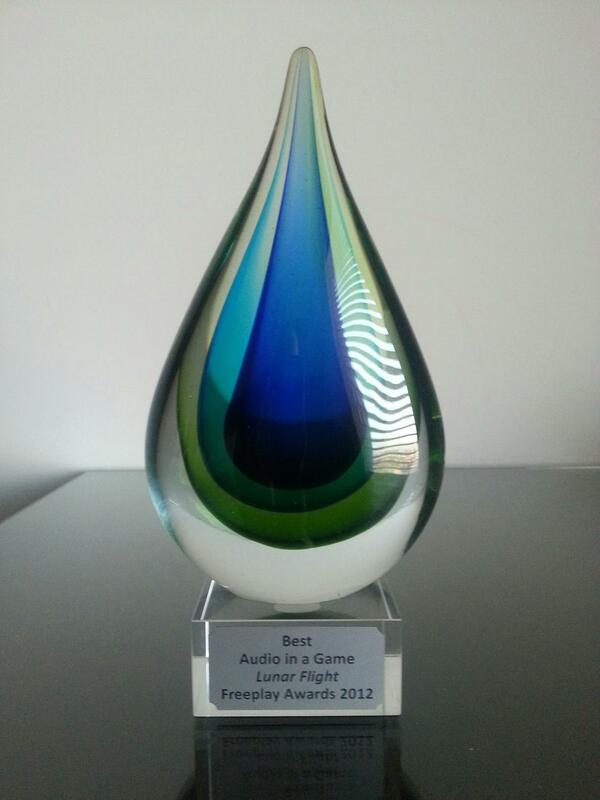 Lunar Flight Wins Freeplay 2012’s Best Audio Award! Freeplay is Australia’s largest independent games festival, held in Melbourne each year. Sean spent the weekend meeting lots of great developers, attended some very interesting conference talks and brought home this beautiful trophy. We’re very proud of Lunar Flights sound scape and are grateful that the hard work has been acknowledged by our peers. 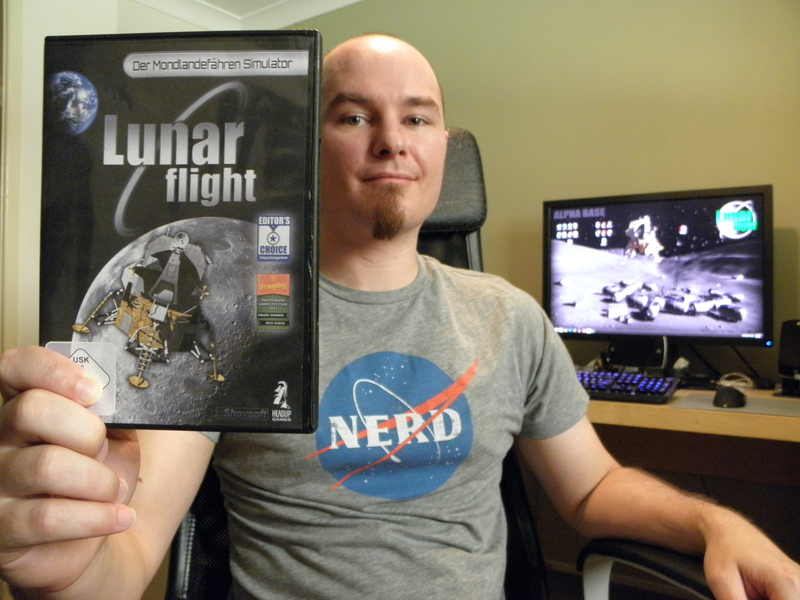 A great way to pick up Lunar Flight and several other great Indie titles for a bargain! The #1 simulations oriented website SimHQ has a nice write up about the Mars update, you can read it here… or click the image above.